WATCH: Wanda Sykes visits with Ellen! Executive producers for Empire have announced that Jussie Smollett, accused of staging a racist and homophobic attack on himself in Chicago, won’t appear on the final two Season 5 episodes of the Fox network series. “The events of the past few weeks have been incredibly emotional for all of us. Jussie has been an important member of our Empire family for the past five years and we care about him deeply. While these allegations are very disturbing, we are placing our trust in the legal system as the process plays out,” the statement from “Empire” executive producers read. The announcement comes one day after Smollett — who has played singer-songwriter Jamal Lyon on “Empire” since the show premiered in 2015 — surrendered to Chicago police on a felony charge of disorderly conduct alleging he made a false police report. Smollett, 36, maintained his innocence in a statement his attorneys issued Thursday night. Meanwhile, the Empire cast and crew are trying to wrap up the final episodes of Season 5. The Fox network has not yet announced if the musical drama will be renewed for a sixth season. New Season 5 episodes are scheduled to begin airing March 13. Wonder what Lee Daniels had to say to him. “We are placing our trust in the legal system.” Should’ve began and end with that. 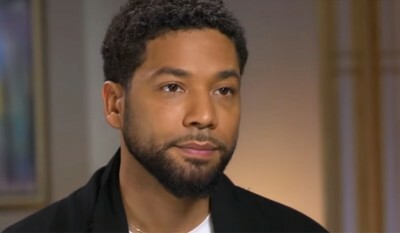 There is a very false notion spread by the “victimism culture” (the one that inspired and helped Smollett to engage in his alleged hoax) that goes by “believe the victim”; you do not “believe” neither the ALLEGED victim NOR the ALLEGED victimizer, you LISTEN to them and wait for the legal system to resolve a verdict. One becomes a listener whose empathy is prefixed by the word “IF”. Why? Because ONLY the Judiciary will have ALL the available elements to reach a conclusion about who is the victim, who is the victimizer, who is neither or both, NOT the media, not the influencers, actors, politicians, public figures, etc. Manipulation, public pressure, public shaming, which hunts against someone or campaigns in favor of someone are not justice and contributes against a civil society. And a civil society that respect the rule of law under the basic principles that in the West contributed for the best possible results (compared to other parts of the world) is what those who are (and will always be) in a minority in a society and therefore prone to be disregarded or even abused, want. Stick to the truth even if hurts, even if disappoints, even if tear down our previous heroes or admired figures. 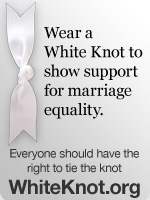 Because if WE don’t, those who DO will be at an advantage. And will win. Snapped! Rami Malek & Adam Lambert!